In "master of the legal thriller" (Chicago Sun-Times) John Lescroart's electrifying novel, attorney Dismas Hardy is called to defend the least likely suspect of his career: his trusted assistant who is suddenly being charged as an accessory to murder. Things take a shocking turn when Phyllis is suddenly arrested for allegedly abetting the murder of Hector Valdez, a coyote who'd been smuggling women from El Salvador and Mexico until he was shot to death on the very same day that Phyllis first disappeared from work. Hardy realizes that if his cherished colleague has any chance of going free, he must figure out how all these strands connect—and fast. 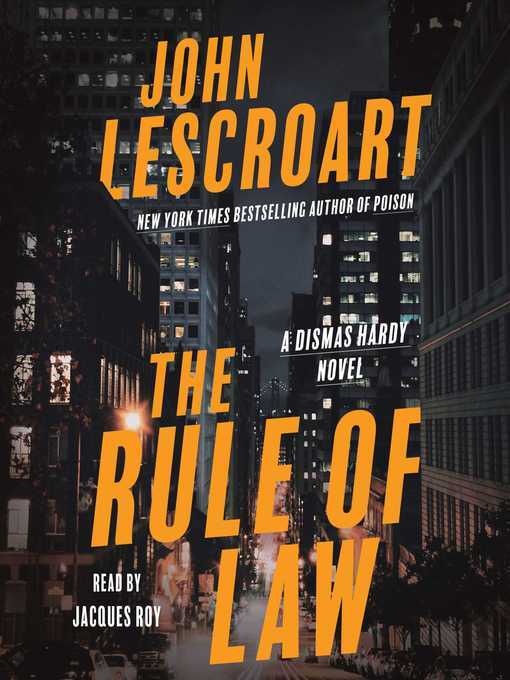 Proving that he is a "certifiable A-Lister" (Booklist), John Lescroart crafts yet another whip-smart, roller coaster of a novel that will keep you on your toes until the very last page.